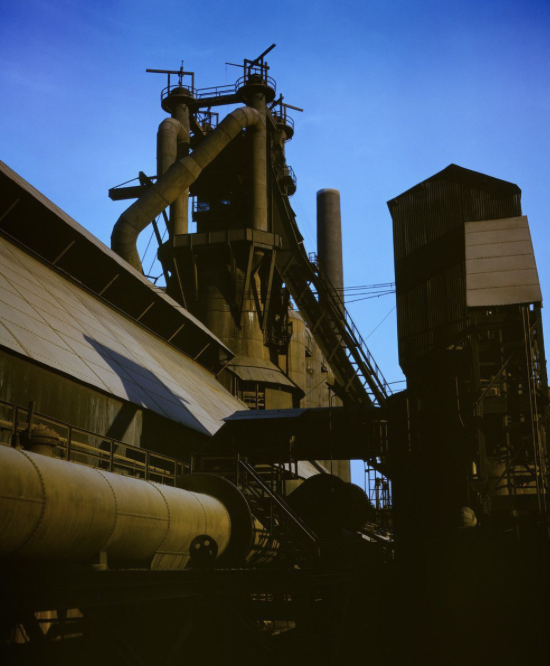 Is there market complacency concerning inflation? One place to look for complacency is in the gold market. Using the CPI as our benchmark, annual percentage inflation changes have gone from close to zero to well above 2%, yet gold prices have not changed and have been stuck around $1200/oz. Gold prices have been struck at that level even with Eurozone CPI also at 2 percent. ECB president Draghi has called Eurozone inflation "relatively vigorous", yet the current gold direction is lower. Core inflation is lower than CPI in the Eurozone and the US, but the direction has still been higher. The Fed has continued to tighten and comments from the ECB is more hawkish although a reversal of their QE will be a long process. Nevertheless, there is still trillions of dollars in European bonds at negative rates and any reversal of policy will only make fixed income more risky. Calling the price level for gold is notoriously difficult but with risks in traditional assets and higher inflation in most developed countries, the current gold levels seem decidedly low. Even if there is the belief that inflation will be contained, there may be a safety argument for holding gold relative to fixed income. Still, the current gold prices suggest that inflation will be contained, economic growth may slow, and fixed income may be a good place to hold wealth. A simple thought experiment is to compare the economic environment from 2-3 years ago with the current environment and ask a simple question; would you expect prices higher today than this date three years ago? 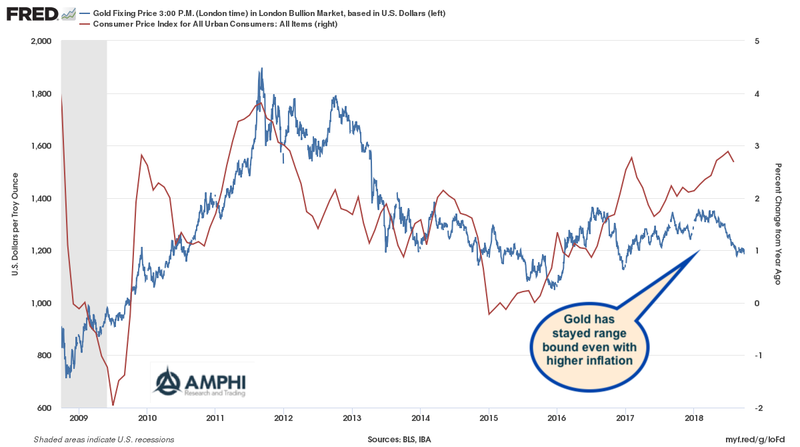 If the thought experiment suggests gold should be higher and it is not, then the answer is that something is missing. There can be key facts missing, the scenarios are wrong or there is just complacency that is weighing down fundamentals. A current review says that something is missing in gold market expectations. Good decision-making is often based on our ability to gather past data quickly in order to assess the likelihood of a current situation behaving like the past. 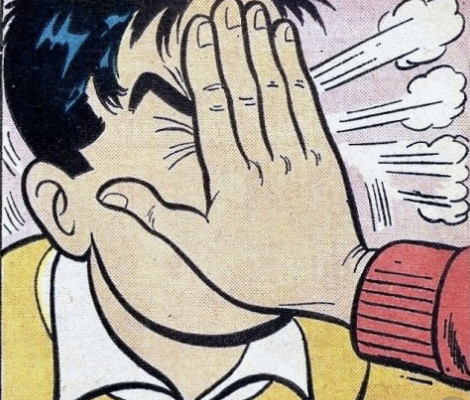 If an investor has good "memory", then his ability to recall the past can be effectively employed, but if there are memory distortions or lapses then the recall of the past can harm decisions. Early simple modeling of memories viewed the mind like a file cabinet where a person will just grab data from internal files as needed. There may some data in long-term memory in the back of the file cabinet while other information is easily accessible. These memories have been encoded and it is just a matter of retrieving them from storage. This analogy may suggest cluttering and data lost or misclassified, but it generally worked. However, memories are much more complex than presented with the file metaphor. The memories of humans are filled with distortions and flaws that create biased that need to be adjusted. 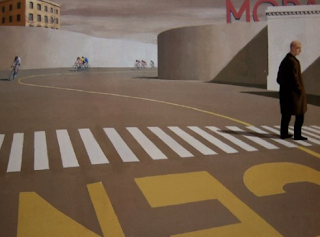 Memories are tied to narratives and mixed with different levels of vividness and encoding. Memory distortions could be called behavior biases, but the issue is more fundamental. One of the key roles in systematic management is data storage and retrieval. If you have the data and can manipulate it into a form that is useful, better decisions will be made. If you don't have the data, inferences will be flawed even if the decision process is effectively designed. Storage and use of data can be better done by computers that manage data without memory or retrieval glitches. An investor could ask a question of how inflation compares with the past. The investor could then use memory to describe market sentiment during the last period when inflation was rising. A memory could be pulled forward or recalled, but the entire process can be more effectively developed or described through data management techniques. 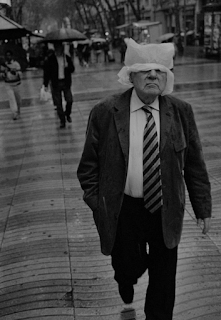 Memories will be subject to distortion, vividness biases, or just simple forgetfulness. This is less possible with good data management. The problem will not hinge on quality or quantity of data but on the manipulation or interpretation of events. Disciplined management with good data should be superior to discretionary management with memory. Each asset class is special but have some defining characteristics that make them an asset class. Each also has dispersion in returns within the members in the classification. Commodities are an asset class with a very diverse collection of members which may give very conflicting macro/micro signals. Look at the differential between crude oil and industrial metals over the last year. In the case of crude oil, the signal of tighter supply with good demand has pushed prices higher by almost 50% over the last year. 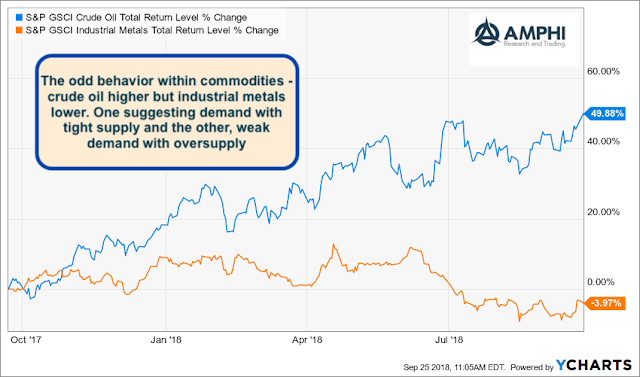 Alternatively, industrial metals, which is often used as a barometer for global macro growth, is down slightly with a stronger decline since the issues with emerging markets at the beginning of summer. It is noticeable that crude oil has surged on Turkey economic issues. The crude oil is also suggesting a geopolitical premium that is having an negative effect on industrial metals and global growth. Crude oil increases can shock economic growth, but industrial metals will usually follow economic growth. When asked the question, "How are commodities doing? ", there never is an easy answer. 10 Years After the Financial Crisis: What Have We Learned? 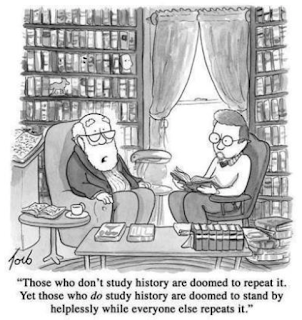 We spend a great deal of time studying history, which, let's face it, is mostly the history of stupidity." I don't want to sound pessimistic, but it cannot be helped when reviewing what lessons have been learned since the Financial Crisis. It has been a decade since the Financial Crisis; however, some of the same problems that led to the crisis seems to still exist. Yes, there are differences; subprime loans, mortgage excesses, and bank leverage will not be the problems. Some of the structures have changed and our knowledge of financial channel dynamics on the real economy has improved, but the meta-issues of credit, leverage, and liquidity still seem to exist with limited solutions and discussions. Too Big to Fail and Concentration - This threat has only gotten worse with more bank and financial concentration. Bank capital may be higher and leverage lower, but the risk from the size of financial institutions is still real. While monitoring of large institutions has increased, the idea of reducing size has been forgotten. Concepts of networks - This research has been a positive development with a refocus on the connectivity or relationships between institutions and the potential for risks in the plumbing of finance. Unfortunately, policy-makers are still trying to determine how to best use this information. Agent-based models of finance along with understanding the structures and plumbing of financial flows are necessary to properly address the next set of problems. Global issues and capital flows - While there are some focused researchers in this area, not enough attention has been given to the impacts from cross-boarder capital flows. The BIS is doing a good job in this area but the more general knowledge base is lacking. An issue not given enough weight or often discussed in detail was the impact of global capital flows for causing and perpetuating the Financial Crisis. Shadow banking - Financial intermediation has become more complex or at least has changed from ten years ago. Banks may be a smaller part of the overall financial system with hedge funds and private equity playing greater roles in credit markets. Non-bank financial intermediation is growing and not fully understood as a driver of systemic risk. 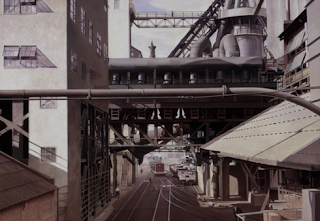 Counter-Cyclical policies - Current fiscal policy is decidedly more pro-cyclical, and coordination between monetary and fiscal policy and regulation is a dream for the future. The fiscal policies of 2009 did not target opportunities to have the most important impact on long-term economic development through infrastructure, education, and health care. This issues still need to be addressed. Liquidity - You only have it when you don't need it. Credit markets have increased significantly without a corresponding increase in dealer inventories and market-making activity. A crisis that places more trades on one side of the market will not find capital to take the other side of the trade. The corollary to the liquidity shortfall is the limits to arbitrage argument. Regulation - Increases in regulation such as Dodd-Frank has responded to the excesses of the Financial Crisis, but governments have not moved beyond reactionary relations to a more holistic coordination with policy. There is systemic risk assessment but this role has not lead to new regulation to reduce crisis risks. Regulation for the next crisis is never easy to develop. Politics - Polarization in politics will slow reaction time in a crisis. Policy may be adjusted too late and by too little. The bailouts in 2008 were done with haste and not often with a vision of long-term growth. The voting on these issues was not bipartisan and required luck in order to succeed. While there be national and global coordination during the next crisis? It does not seem likely. Monetary policy - While QE1 provided the necessary liquidity to protect markets during the height of crisis, subsequent policies were less helpful and may have worked against long-term economic development. Normalization is underway, but there are few who can articulate or describe the global monetary policy end game. Credit extremes - If the last crisis was about credit extremes and leverage in mortgage markets and banking, the current environment is now about extreme in corporate credit, some consumer credit, and government deficits. Balance sheets may look better only because asset levels are inflated. If credit was the driver of excess before, then growing credit today should not be viewed as a success. Structural changes - Hedge funds and private equity have grown as well as an explosion of new assets in the ETF market. The issue of structural response to a liquidity event by this structural change is still unknown. These issues are not a wall of worry but a review of finance after ten years living with the aftermath of the Financial Crisis. We will not make the same mistakes but we will make mistakes that are associated with same themes. Global markets have been focused on trade, trade wars, and tariffs. 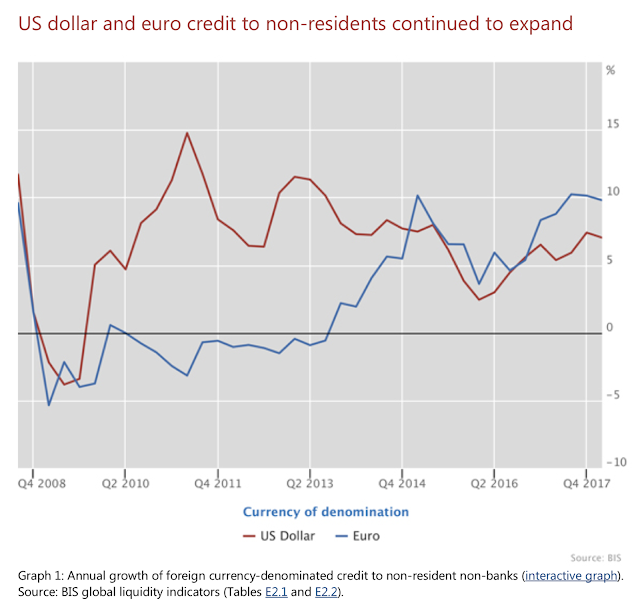 News has been dominated by discussions on trade and less often about dollar currency changes and capital flows, yet capital flows often dominate trade. 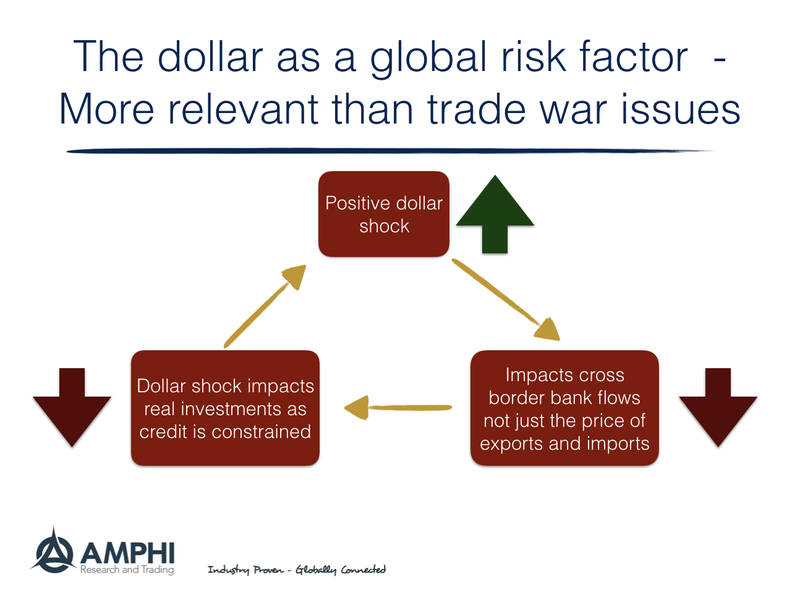 An increasing dollar is supposed to be emerging market positive through the trade channel, but in reality, a dollar appreciation will increase financial risks and impact EM investments. 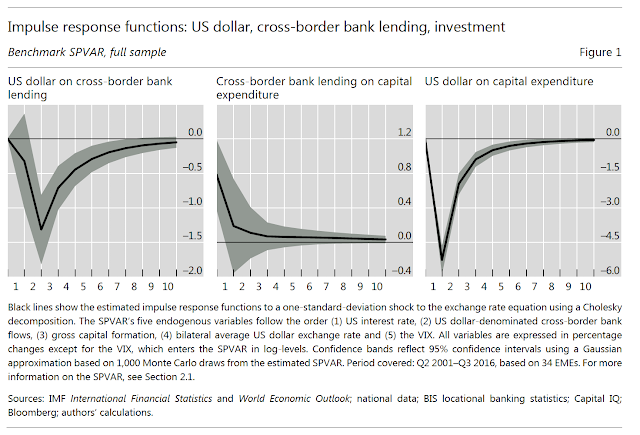 Extensive research work by the Bank of International Settlements (BIS Working Papers No 695 "The dollar exchange rate as a global risk factor: evidence from investment" by Stefan Avdjiev, Valentina Bruno, Catherine Koch and Hyun Song Shin) shows the impact of a dollar shock on cross-market lending and investment. Forget the trade rhetoric and focus on the capital flows. Moves in the dollar have risk spillover to the rest of the world. 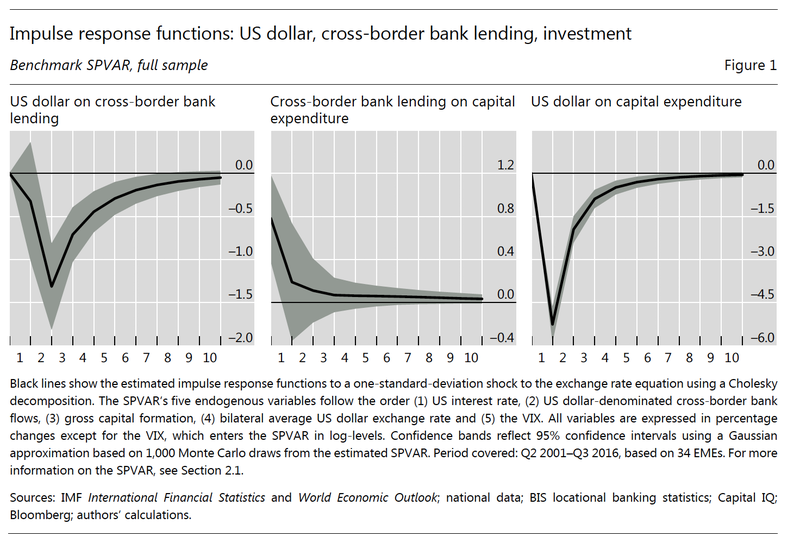 The BIS research work shows the impact of shocks from a dollar increase or a US rate increase. The spill-over to emerging markets is real as lending is decreased, credit risk is increased and real investment is reduced. The impact is illustrated through their empirical model which measures shocks to the cross-market system. 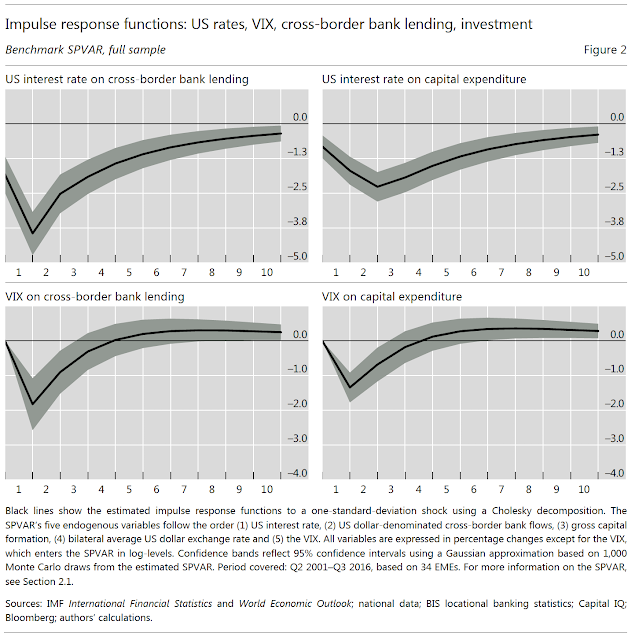 A dollar shock will reduce cross border lending and affect capital expenditures. Similarly, a rate shock which will affect the dollar will also carry-over to cross-border lending. The actions of the Fed do not just affect US financial markets but will spillover to emerging markets through this lending channel. 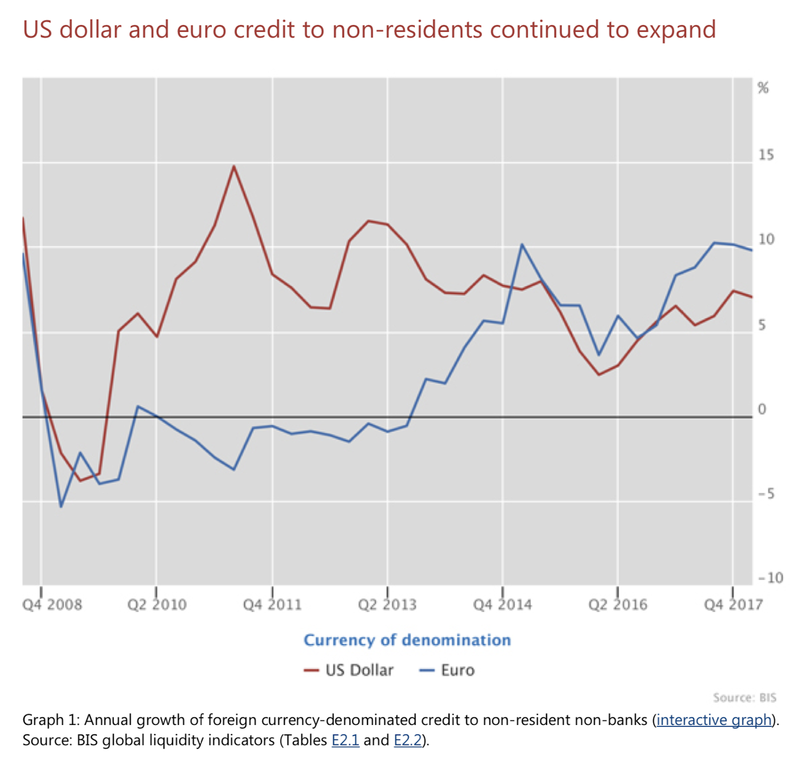 A tightening Fed, even in the name of QE normalization, relative to other central banks will have a dollar impact which will lead to an EM lending impact. 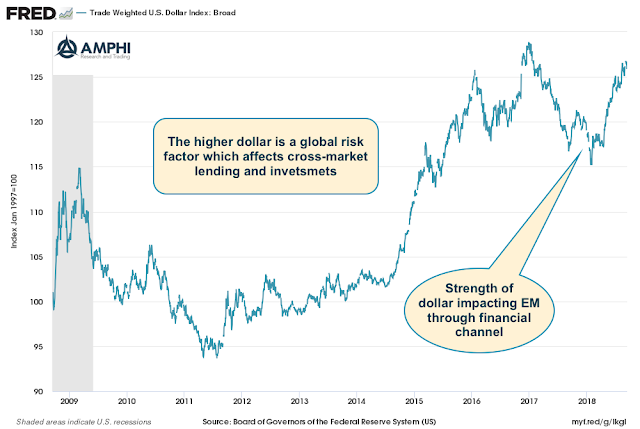 In the last four years, the trade-weighted dollar has appreciated 20%. The dollar index is close to all time highs given the 2018 gains. This dollar shock negatively impacts the value of unhedged dollar-denominated liabilities. Borrowers are facing risks that they may not have expected with a less hawkish Fed. A reduction dollar lending growth to EM coupled with the higher cost of liabilities will translate to real investment effects. We may not yet be seeing the full effects in the BIS data since debt growth is still high. 2017 was a period of dollar decline which reduced any dollar shock pressure. We can see that the dollar credit growth rate has slowed since the end of Fed QE and the rise in US rates. There has also been a switch to euro financing. Perhaps not yet binding for all countries and companies, but the dollar shock is an important driver in the global credit cycle that will spill-over to real EM investment and growth. With all of the discussion on news, "fake news", misinformation, and opinion, it is important to focus on some first principles for investing and narrative as news. The narrative is not the facts from an announcement, but the story surrounding the price move coupled with facts. 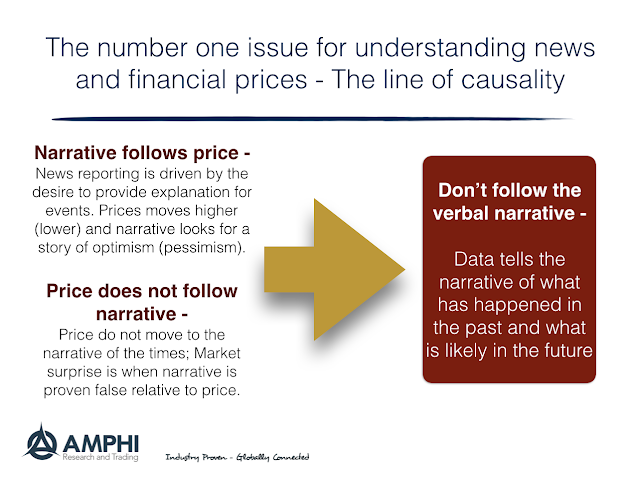 For any investor, it is important to realize that narrative generally follows prices, and prices do not follow narrative. What do we mean by this simple principle? Most writing about finance is focused on explaining the movement of price and not predicting what prices will do in the future. If prices go up, the news cycle narrative offer a story that is consistent with prices going higher. This is what reporter do. 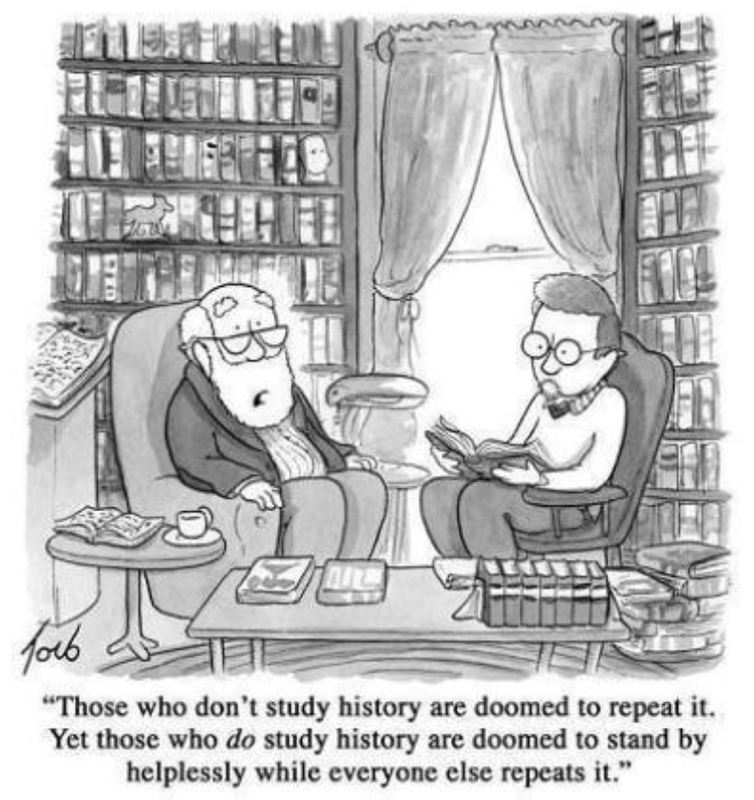 This is what analysts often do. They offer explanations for what is happening today. The news narrative of today may prove false tomorrow if prices decline. It is not a prediction and an investor who thinks of this narrative as predictive will be harmed. A viable investment alternative is to stop reading the narrative and just follow prices. Let prices speak for themselves. This is the essence of trend-following. Prices tell the narrative without any embellishment. For the quantitative analyst, there may be the further extension to have the data tell the narrative without embellishment. The data narrative is not a story to fit the fact, but a model to suggest what will happen in the future. The data story will have underlying assumptions but it can be tested through time unlike the news narrative. Causality moves from prices to narrative, so focusing on the basic data, using price information, and forming models will all help to not be fooled by false narratives. Rates are now higher than dividend yields - Should investors care? 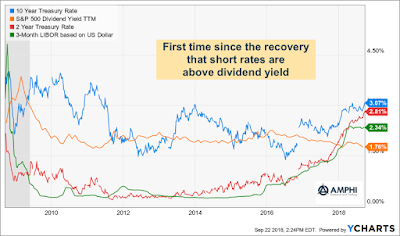 Short-term interest rates are now above dividend yields for the first time since the Financial Crisis. This could be a big deal. Investors can now hold short-term bonds and receive a higher carry return than holding dividend-paying stocks. The cost of holding cash is now less than holding dividend stocks. 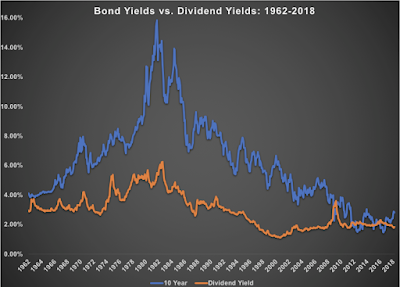 There is a long history of research that suggests that high dividend yields are indicative of cheap stocks and dividend yield are a strong contributor to total return, but we are interested in the relative relationship with yields. This issue is a variation of the old Fed model discussions of richness and cheapness in stocks. The current condition of rates higher divided yields could suggest that stocks are priced high, but we need more historical context. 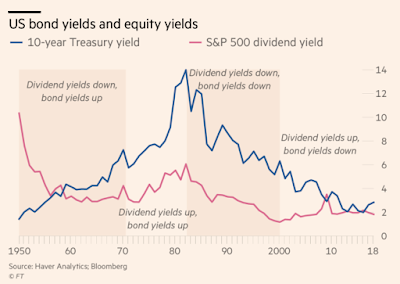 A look back to 1990 suggests that fixed income yields above dividend yields are not the exception, but the norm. In fact, one can argue that the post crisis period is the time frame that is unusual. 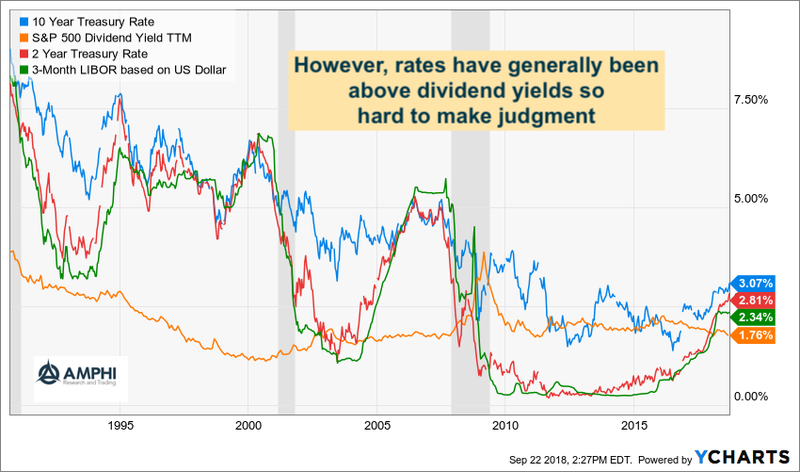 Going even further back in time suggests more of dividend yield puzzle of what is the relationship between dividend yield and rates. The last ten years were exceptional. But, in the first half of the twentieth century, dividend yields were higher than short rates. This relationship shifted in the 1950's. This was certainly before the craze in buybacks which could have served as a substitute for increasing dividends. 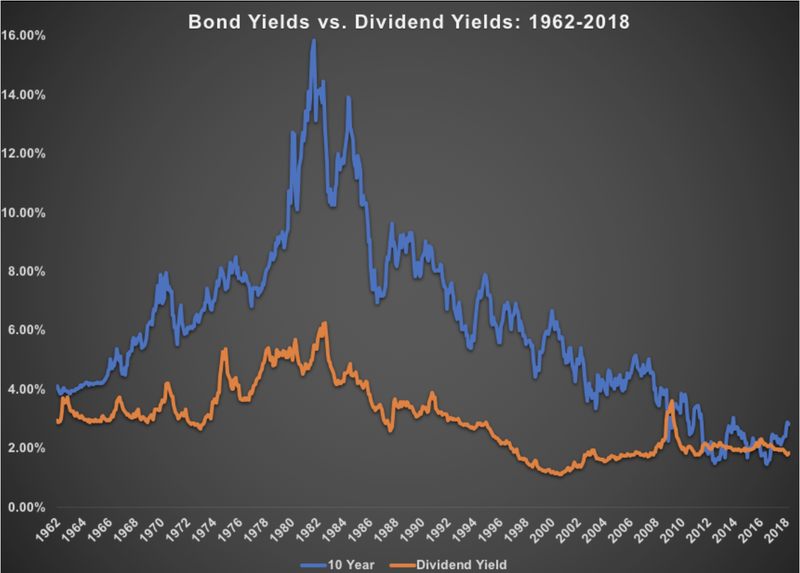 While dividend yields are not as volatile as interest rates, there have been distinct periods of dividend and bond yield changes. The 50's to 70's, a period of rising inflation, saw bond yields moving higher and dividend yields declining. The still higher inflation period of the 70's saw dividend yields and bond yields both rising. The Great Inflation Decline between the 1980's and 2000 produced lower dividend yields and bond yields. This was also a period of increased buybacks. The last 20 years saw stable to higher dividend yields but bonds lower. We are now in a bond yield higher and dividend yield stable environment without counting buybacks. Still, this transition may not provide guidance on the stock market. There are three major conclusions from this data. One, do not put stock in short time periods for analysis. Two, we may be looking at a different stock bond environment as signaled by the rate dividend relationship. 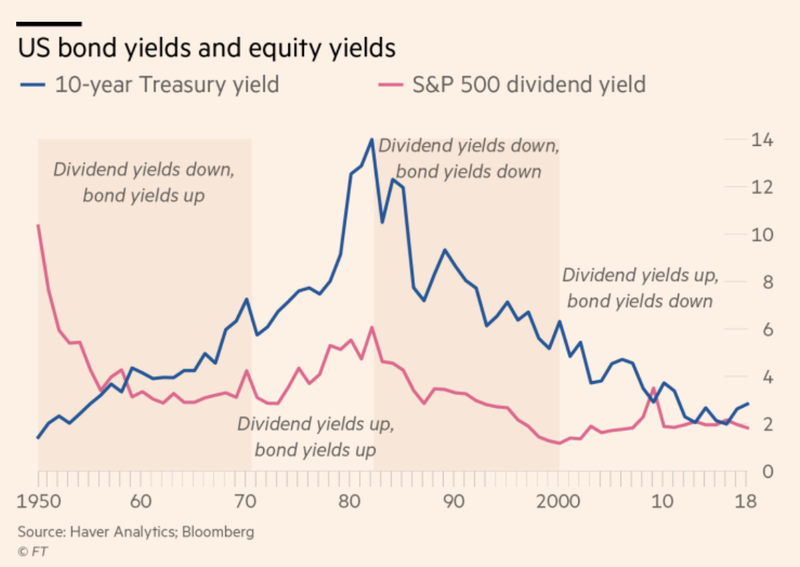 Three, the relationship between rates and dividend yields may just does not tell us much on the future direction of stocks. All facts may not be meaningful. 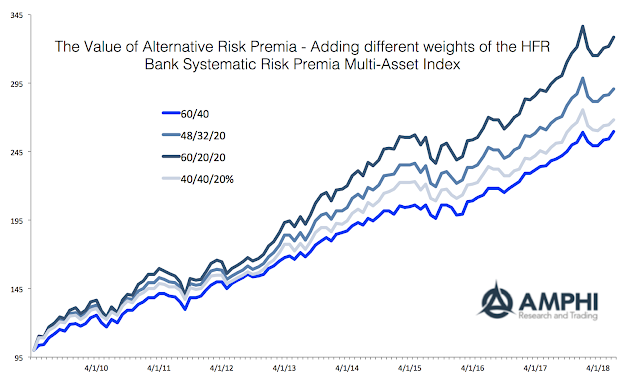 There are now hundreds of alternative risk premia that are available from banks. This is a business outgrowth of the alternative risk premia work that has been done by academics. Yet, it is difficult to argue that there is any one return or risk profit that can describe the performance of risk premia. There are structural risk premiums which may not vary much over time and as well as risk premia that are cyclical in nature and be related to macro economic factors. What is clear is that investor can blend risk premia to provide enhanced return to risk because these premia are often uncorrelated given their unique features. 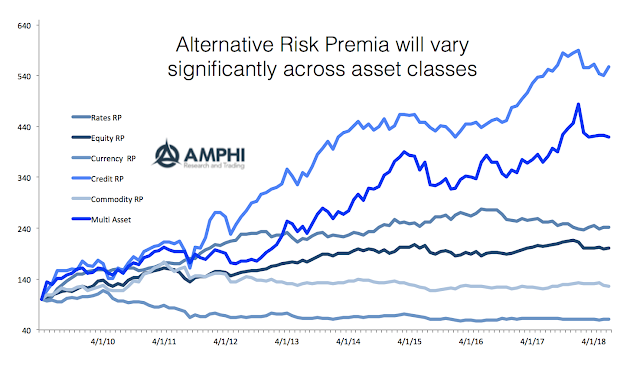 While the styles of risk premia may be the same, the behavior across asset classes is very different. The HFR Bank Systematic Alternative Risk Premia Indices can be used as indicative measures of the differences across asset classes. These asset class indices include, value, carry, momentum, and volatility ARP's. The return evidence from these indices shows significantly differences in performance. There may be some concerns on the representativeness of these bank systematic ARP indices based on the institutions that have contributed to HFR, but we believe that we can glean some useful information on cross-asset performance. Credit has done especially well during the post financial crisis periods given the strong tightening of spreads over the last ten years. This asset class ARP index outperformed all other asset classes. The combination of strong capital inflows and the improvement of the firm finances allowed for strong gains across a number of risk premia. Alternatively, currency risk premia have fared poorly during this period based on the range bound behavior of interest rates, economic growth, and monetary policy across countries. Low variations in fundamentals have meant that ARP opportunities have also been limited. To a lesser degree a similar phenomena occurred in commodities that have been in an extended drawdown, albeit our analysis suggests that properly funding the right ARPs can generate strong returns. For equities, there has been a stable return profile when weighing these risk premia although the patterns have not matched a pure market beta approach to risk. The performance for rates ARPs has fallen with the flattening of yields curves across many countries. There has been less term premium and roll to exploit in the current environment. Most notable has been the strong albeit more volatile performance of the multi-asset index that shows the strong benefit of bundling a portfolio of ARP across all asset classes. The low correlation across asset class ARPs means that the diversification benefits of picking risk across all asset classes is helpful. We have been surprised by the large return dispersion across APRs across banks. Since there is no one agreed upon definition for any ARP, there should not be the assumption that style APRs will be alike. 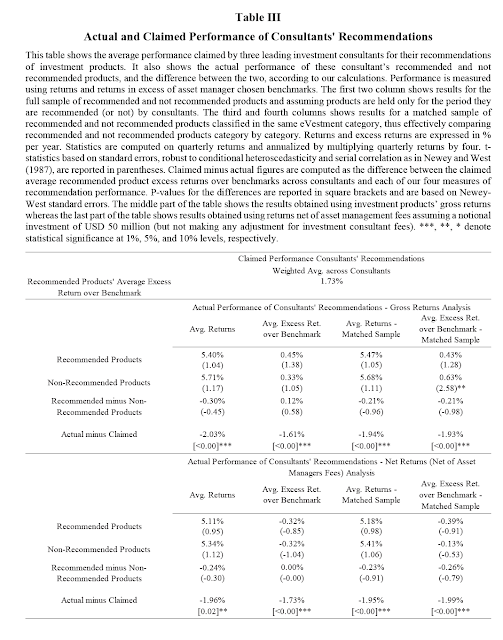 This means that actual performance for an active APR portfolio may differ significantly from any index. 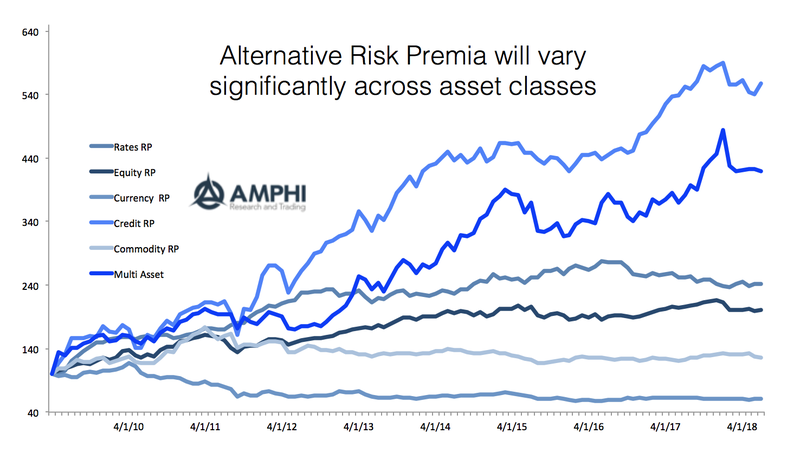 Still, the relative evidence suggest that alternative risk premia across asset classes are not alike. One of the core issues with alternative risk premia is not just determining whether they exist but how they will move through time. If alternative risk premia are time varying and associated with specific macro factors, it may be possible to tilt exposures based on current or future market conditions or avoid carry risk premia during those periods when expected returns will be lower. What can we say about carry alternative risk premia returns, one of the most basic of risk premia? We don't have significant amounts of live trading data across all asset classes from bank or money management providers, so we have to rely on evidence-based analysis. We can look at research concerning carry and make judgments on relative performance across asset classes and under different market conditions. Judgments based on academic evidence are not definitive, but they do provide a good guide on what to expect. The best overview paper is this area is simple-named "Carry" by Koijen, Moskowitz, Pedersen, and Vrugt. Foremost, this paper provides a universal definition of carry and apply it across all the major asset classes. It brings together in one framework the research of many authors. As defined, carry is the stand-alone return not associated with a change in expected prices. 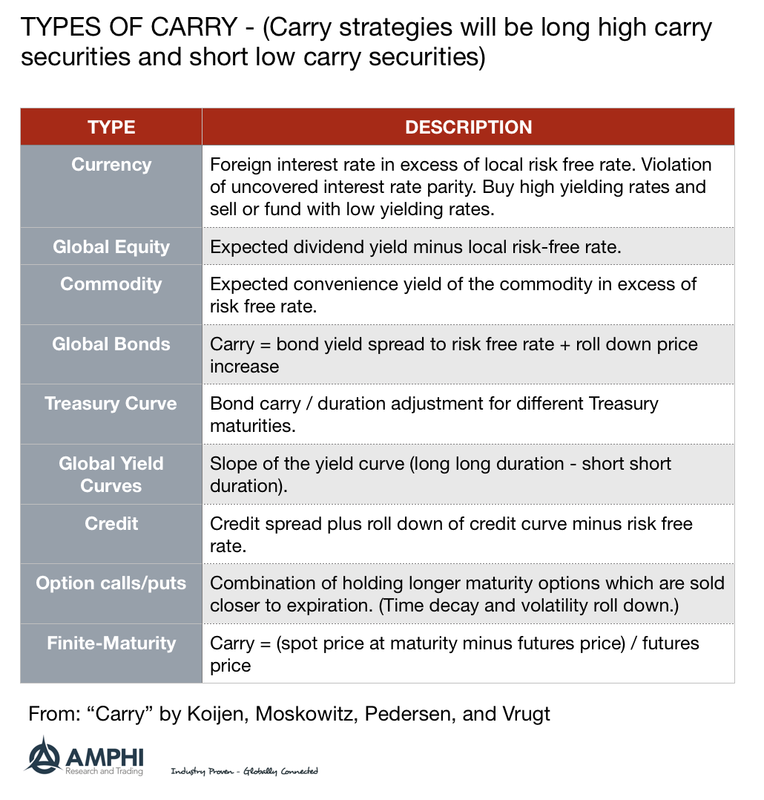 Given this simple definition, carry strategies are just the combination of being long high carry assets and short low carry assets within an asset class. This simple definition can be applied to currencies, equities, fixed income, commodities, credit, and options. Carry can also tell us something about future returns and price changes. For example, high equity carry or dividend yield has some predictive power about the future equity prices. In other cases, future price changes will take back carry returns. 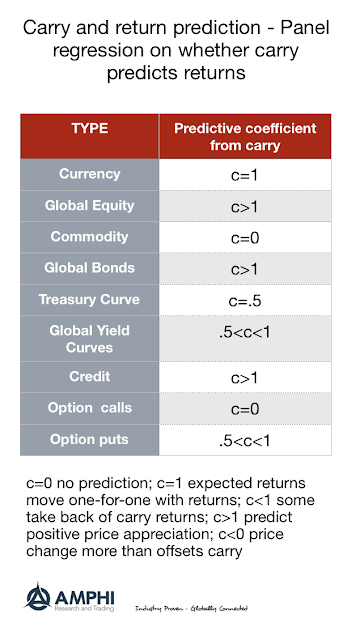 In still other asset classes there is no relationship between carry and expected price changes. Our table summarizes the research in the "Carry" paper. The impact of carry on total return will vary by asset class. While carry is available in all major asset classes, these risk premia are not highly correlated to each other. There is benefit with building a diversified basket of carry trades. 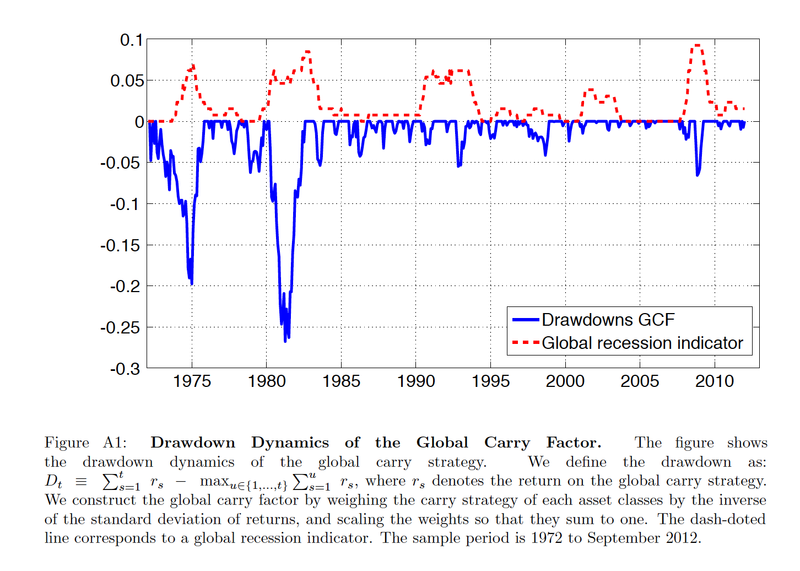 Global carry will be riskier during periods of economic stress. 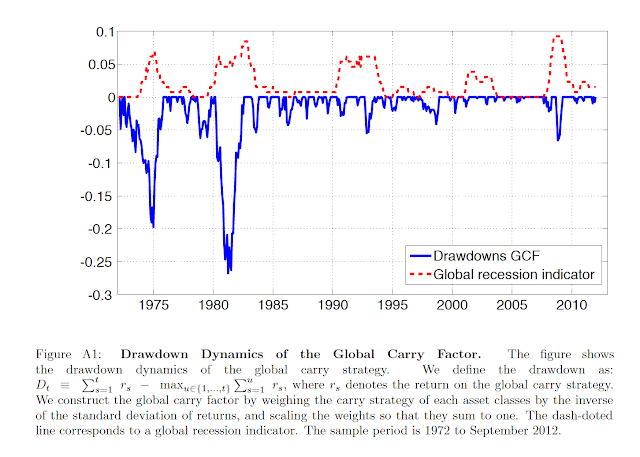 Using a global recession indicator, it is found that there will be greater drawdowns during recession periods. Although these drawdowns may be less than those found with market beta exposures, loses are significant. Nevertheless, all carry strategies will not behave the same during a recession. Specifically, Treasury carry will provide a defensive return stream. There is some crash risk with carry strategies but it is not universal. 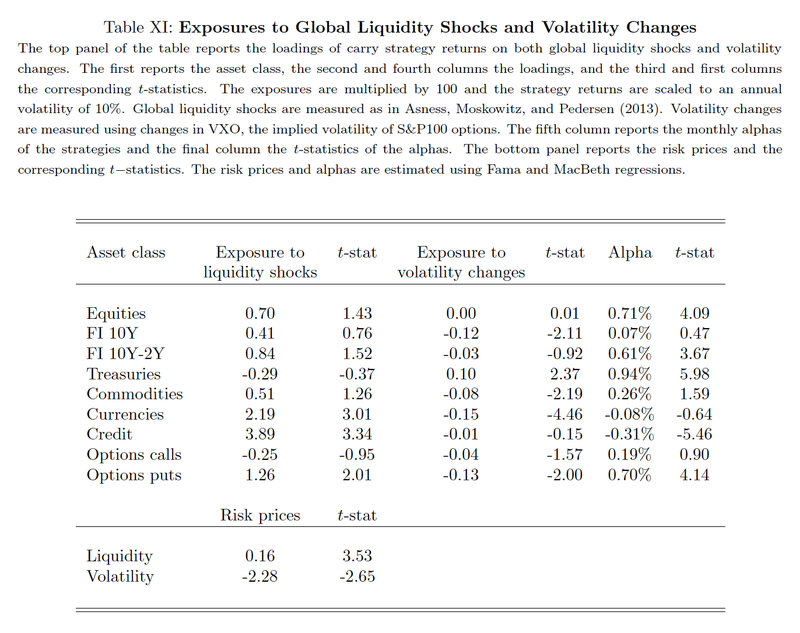 Research also finds that global carry factors will have a positive response to liquidity shocks and a negative response to volatility changes. 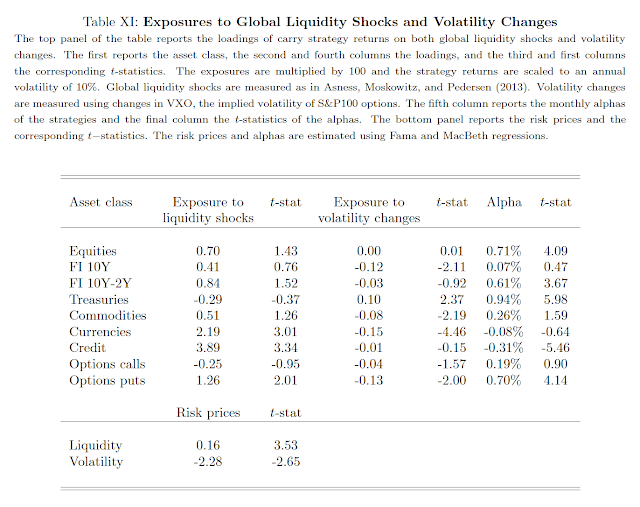 There is still alpha during these times, but expectations for a negative liquidity shock or a positive volatility shock will have a significant negative impact on carry returns. The evidence on carry suggests that it exists across all asset classes, but its ability to predict futures returns is highly variable. Cary returns are highly uncorrelated and can be bundled into diversified portfolios; however, carry is sensitive to recessions, liquidity shocks and volatility shocks. Overall, this well-defined macro evidence can help any investor with determining when to hold or avoid carry exposure. Carry may be good today, but a recession or volatility shock may quickly change return opportunities. If you have been on the road looking for cheap food 24 hours a day in the South, you have likely been to Waffle House. It is not be best breakfast, but if you need a quick meal, this is a good place. You usually will not see a money manager or a Wall Street banker at a Waffle House counter and that may be an added appeal. It has gotten a reputation as a place that will stay open no matter what the disaster or open first after a hurricane. Some have talked about the Waffle House hurricane index. The worst damage is where the Waffle Houses are closed. 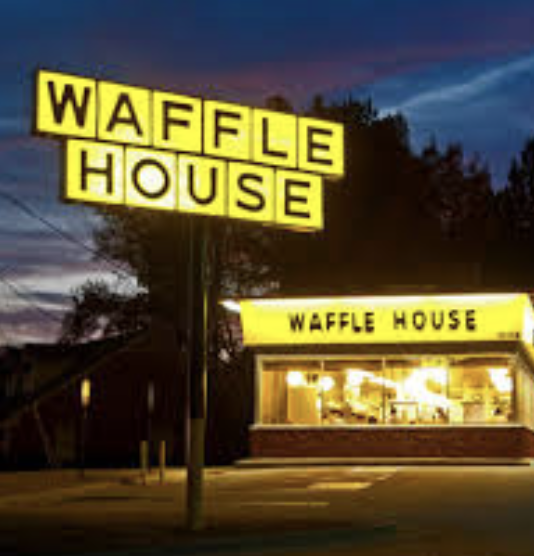 Civilization begins where Waffle House is serving. So what can a money manager learn from Waffle House? Emergency preparedness. To be able to deliver on staying open and opening quickly after a hurricane, Waffle House spends a lot of time planning. It is a logistical and supply problem, but the important issue is that they plan for the worst every year. Hurricane season lasts from June until the end of October, yet no one knows where or how many hurricanes may hit in the US. Some years there is nothing and other years there can be multiple hurricanes. Waffle House does not accept that these are mere random acts, but every year plans for the worst. There are emergency preparedness manuals and training for every store. There is staging before a hurricane. There are contingencies plans for supply. This is all for a simple restaurant to ensure that victims and relief workers have a place to eat. No frills, but the assurance that if you want eggs, hash browns, and coffee you will be able to get it. Is there the same level of planning by hedge funds and money managers? They know there will be sell-offs, bubbles, crises, liquidity events, and failures, but how many managers can show investors their contingency plans or what they will do under different emergency scenarios. 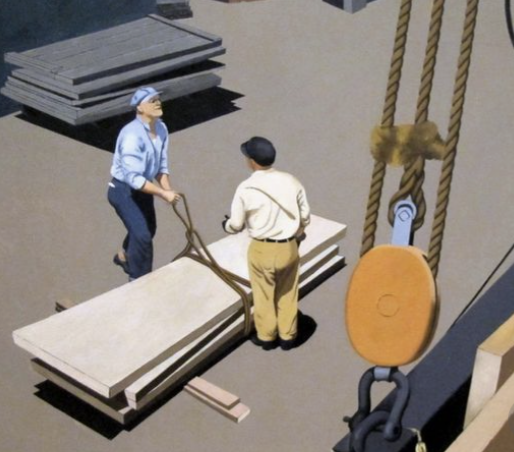 Firms are good with operational plans, but the real planning is with the investment portfolio. The identification of risks has been much improved in real time, but the actions to be taken under different risk scenarios are less clear. If the next financial crisis hits, there will be a lot of talk about it being an event that hurt everyone and could not be avoided, yet it is a core job of the portfolio manager to protect principle during these events. Every situation is not unique and different. Planning can be done. Waffle House would not accept a market event standard that things sometimes happen. It works to higher standard based on the needs of their customers even if it is just serving breakfast. The same high standard should apply to money managers. Investments in alternative risk premia (ARP) are way to access the important building blocks for returns and generate return streams that will not be highly correlated with market beta exposures. Through factors and styles like value, carry, momentum, and volatility, investors can generate unique return streams relative to asset class betas. To show the value of alternative risk premia, we have taken a broad based index constructed from HFR through bank swap products and compared against a standard 60/40 stock/bond index. The HFR index is new and represents only a portion of the growing ARP market and may not include the largest banks. Still, it may provide some insight on what realistic value can be added through investing in a portfolio of risk premia. For a simple 60/40 stock/bond blend, we combined SPY and AGG rebalanced monthly. For an alternative risk premia portfolio, we used the HFR Bank Systematic Risk Premia Multi-Asset Index, which combines risk premia in credit, rates, equities, commodities and currencies. There is a suite of HFR risk premia indices, but we employed their broad-based asset class index to show proof of concept. These risk premia indices are relatively new and we have concerns of the breath of coverage with the index, but it serves as a first pass of what is possible. We looked at four combinations: 1. A base case 60/40 stock/bond SPY/AGG portfolio; 2. An 80 percent 60/40 proportional portfolio with 20 percent in the HFR risk premia index; 3. A conservative 40/40/20 portfolio of equities/bond/risk premia; and 4. An equity focused 60/20/20 equity/bond/risk premia portfolio. We started the portfolios in May 2009 as the beginning of the post Financial Crisis period through July 2018. The results show that alternative risk premia at very generic level are able enhance a portfolio relative to a base 60/40 stock/bond blend. The best performer was an allocation to stock and an alternative risk premia substitute for bond exposure, followed by a proportional allocation to alternative risk premia, and then a lower allocation to stocks. The high equity exposure should not be surprising given the strong performance of stocks since 2009. While there is no guarantee that this performance can continue in the future, it is suggestive of the gains from alternative risk premia during a period of strong equity gains and strong bond diversification benefit. The alternative risk premia basket was able to generate better returns than a bond portfolio, good diversification relative to stocks and bonds, and performance that will not generate significant return drag. This is all without any special structuring of the portfolio. A quick review of MSCI country indices for Argentina and Turkey as well as the MSCI Emerging Market index shows that large drops in equity returns are not that unusual. It also is not unusual to have equity declines occur in both Argentina and Turkey at the same time. 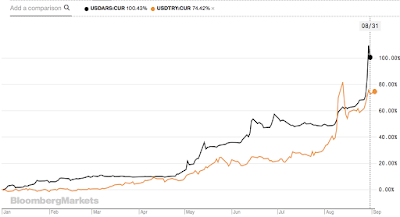 What is different this time is the fact that the Argentina and Turkey are both down 50 percent through the end of August, but there has not been a broader crisis contagion. The last two deep country declines were during the Financial Crisis and the European Debt Crisis when global bank lending shrunk with economic growth. 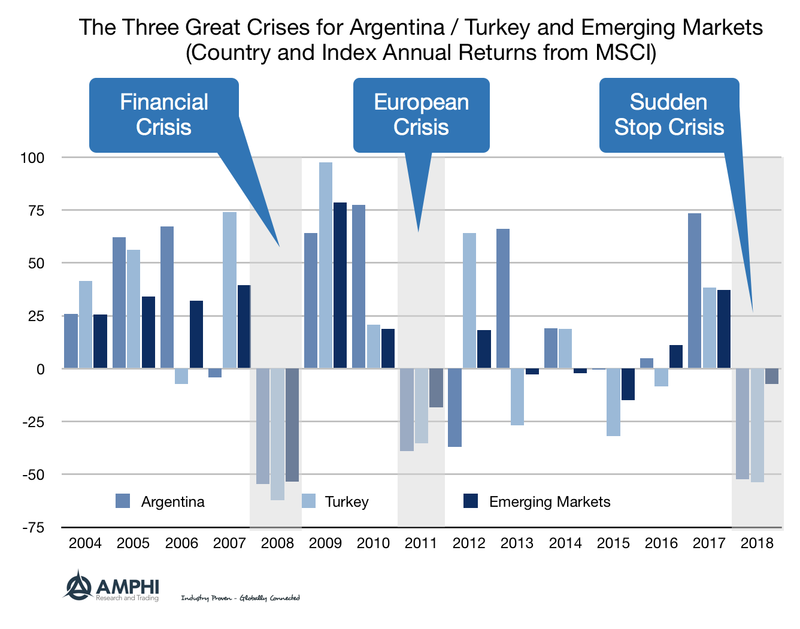 Argentina and Turkey are both in the throes of "sudden stops" credit crises albeit based on different policy reactions and shocks. It is easy to focus on the unique situations for Argentina and Turkey, but perhaps the more important issue is whether these declines are signals of the beginning of a bigger credit crisis that will engulf more emerging market countries. 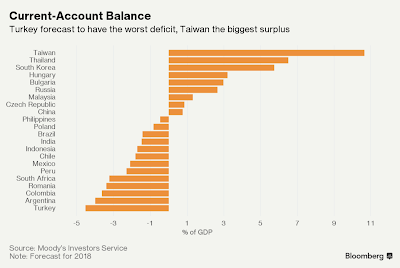 We believe there are some countries that have extended current account deficits that place them at risk, but the overall dollar leverage in EM markets are a more relevant concern. Further increases in US interest rates may only increase the potential credit risk problem in EM countries who rely on dollar funding. 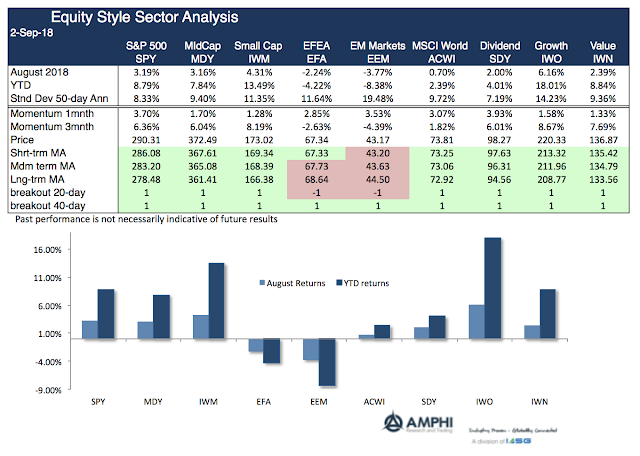 Whether, large-caps, small-caps, growth or value as measured by the major stock index benchmarks, US stocks markets are having a good year, but you would not know it if you saw August or year-to-date hedge fund style performance. Many hedge fund managers seem to have missed the big equity moves and not generated alpha. We find this especially odd since market dispersion and correlation numbers within indices show that there should have been a significant number of unique opportunities as measured by S&P Dow Jones Indices. Look at August and you would have thought there was a significant market dislocation given the strong CTA performance versus other hedge fund styles. 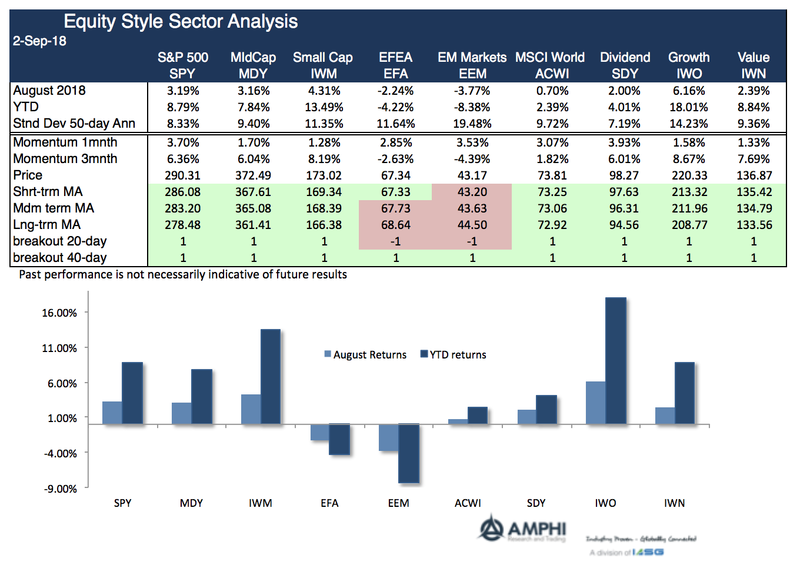 You may have thought that the defensive / crisis alpha styles were signaling a market divergence, but that was not the case last month. 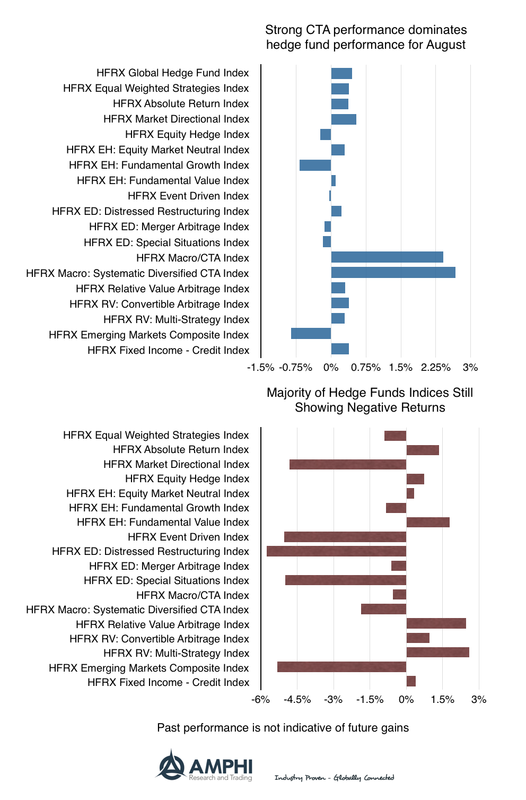 For the year, 10 of 18 hedge fund styles are reporting negative benchmark performance based on the HFR indices. We accept that there can be significant dispersion around managers within a style benchmark, and that the vast majority of investors mistakenly believe that they hold managers that beat the indices averages. However, these style benchmarks tell us a lot about the state of hedge fund industry. Absolute return is an elusive goal for many managers even in a strong equity market. 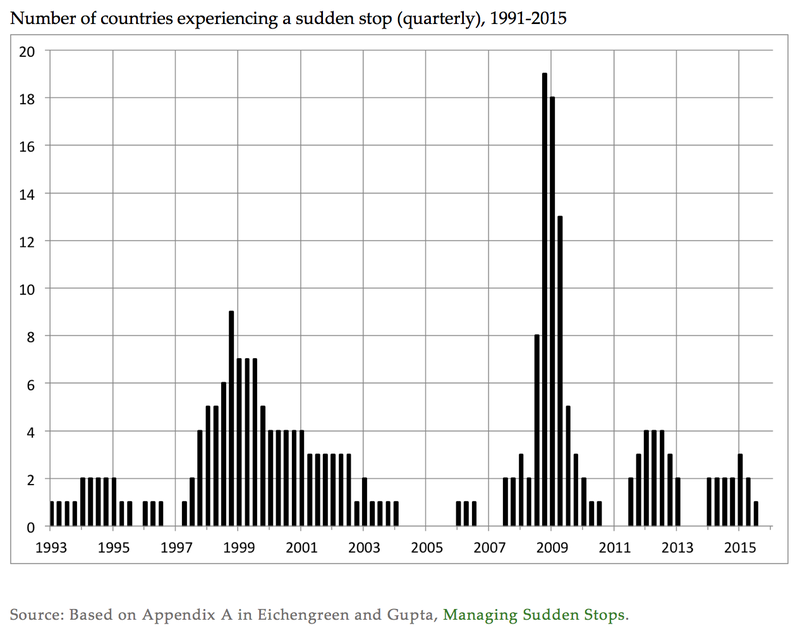 The 1990's were filled with emerging market failures through "sudden stops" - a sharp reversal of capital flows which led to declines in currencies, large increases in local interest rates, and sharp declines in equity market. Countries hit a funding wall. The capital flow reversal is driven by the simple identity that a current account deficit represent an imbalance where saving is less than investment. That is, S - I = CA. If the savings and investment imbalance associated with a currency account deficit cannot be financed, there is a sudden stop or disruption in local capital markets as the economy adjusts. For equilibrium to be restored, there will be a sharp and immediate change in the savings investment relationship which will show-up in asset and currency prices. These sudden stops are often associated with either a banking or credit crisis. Emerging market central banks added reserves in the post-Asian crisis in order to protect against these sudden stops. Call it a foreign exchange cushion. These policies of building reserves have generally worked except for the Financial Crisis period, yet it seems as though we are in a new EM sudden stop period. This new environment generates heightened contagion risks. 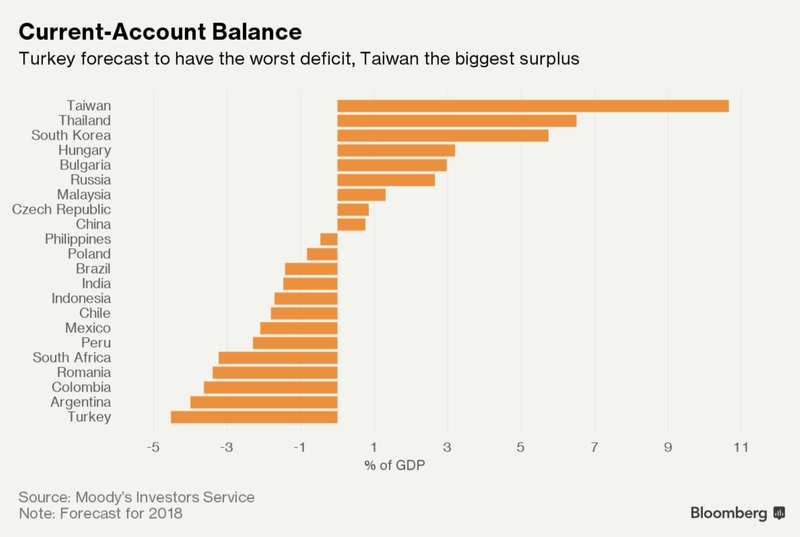 Any country that is running a current account deficit larger than normal or funded through short-term debt is subject to heightened review. The chance of a funding run on the bank has increased which makes all current account deficit countries at higher risk. 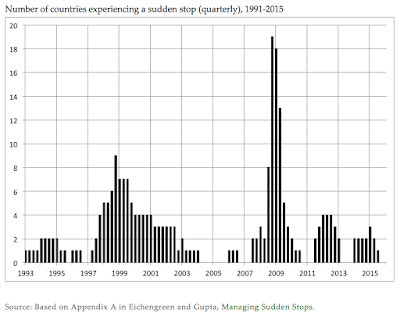 A good primer on sudden stops can be found on the VOX CEPR Policy Portal called "Sudden Stops: A Primer on Balance-of-Payments Crises". The characteristics that will place a current at risk includes, free capital flow, short-term funding, a reliance on foreign currency debt, a small tradable sector, and a fixed or tight exchange rate. If a country has an excessively levered banking sector with foreign debt, it will be suspect. 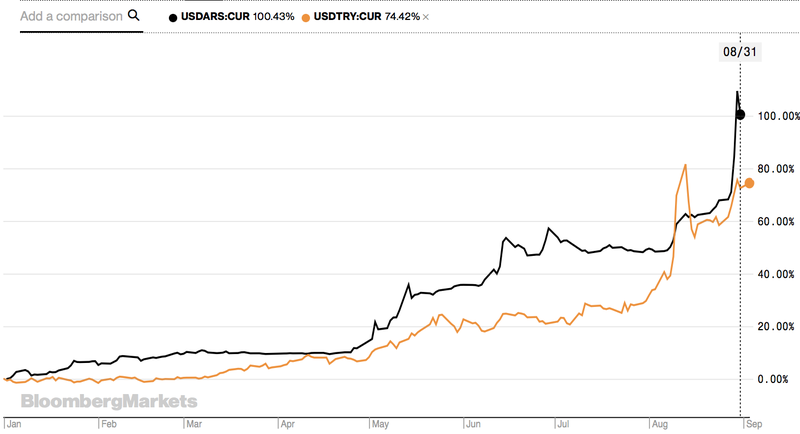 All you have to look at Turkey and Argentina to see what the extreme financial and economic risks that exist when a sudden stop occurs. The result has been significant increases in interest rates, capital controls, limited liquidity, and a decline in equity prices. It disrupts the finances for each country hit with a sudden stop, but the uncertainty threat to other countries is also real. When in doubt or more precisely when in uncertainty, safety-first dictates closing positions in risky countries and shift to safe assets. If a country is running a current account deficit, the mantra for many investors will be cut the risk. We know what has happened to the countries on the bottom of this list. 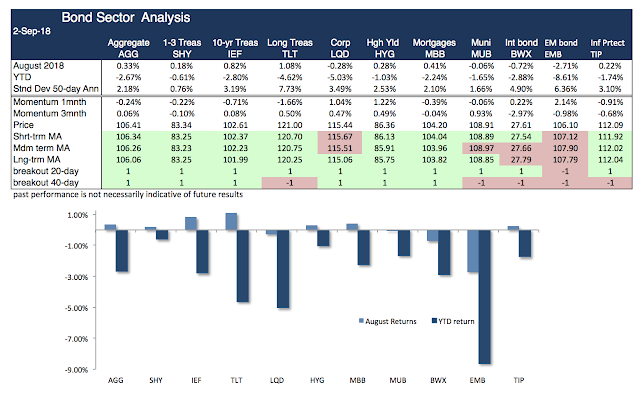 Managed futures showed good returns for August with gains in both stock indices and bonds. Given size and liquidity, as equity and global bonds goes, so goes CTA performance; however, there were also gains in selling grain markets and taking advantage of shorter-term trends in the energy sector. 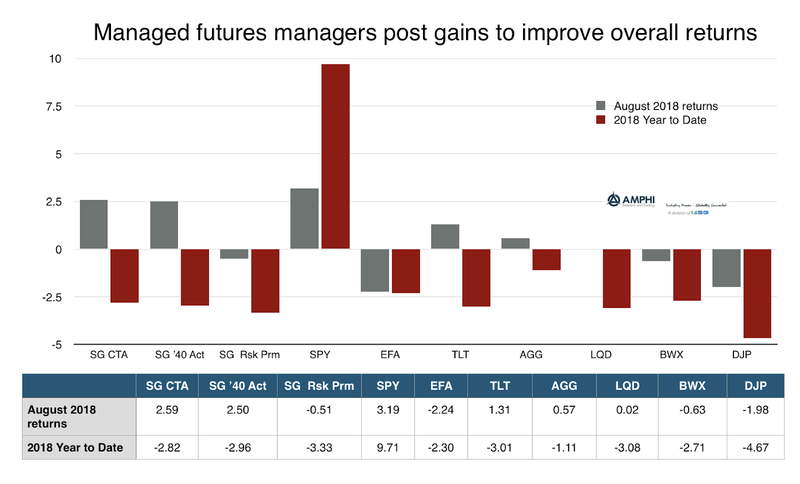 Other CTA indices like the BTOP50 also showed strong gains for August and similar year to date numbers at -2.66 percent. The SG alternative risk premia was down slightly for the month. CTA indices have not performed well versus equities this year, but excess style returns, when double digit equity benchmark returns are seen, are rarely expected. Diversification will smooth returns when there is a strong long directional market. However, the CTA benchmark is better than long duration Treasury, international and emerging market bonds, and commodity benchmark ETFs. 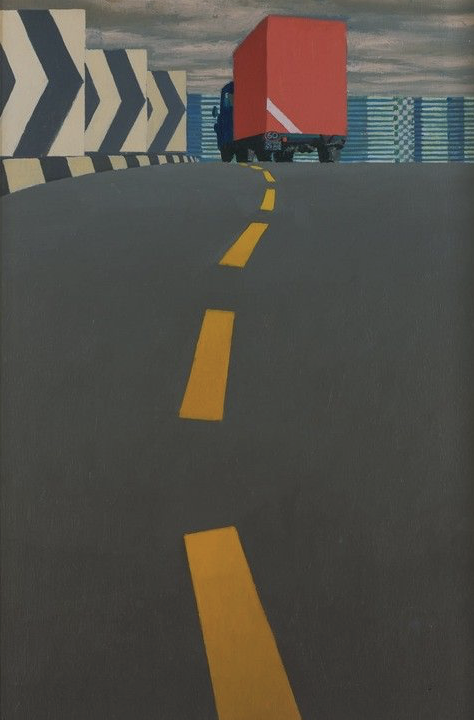 CTA's are proving to be an adequate diversifier and not a drag on performance relative to other diversifiers. 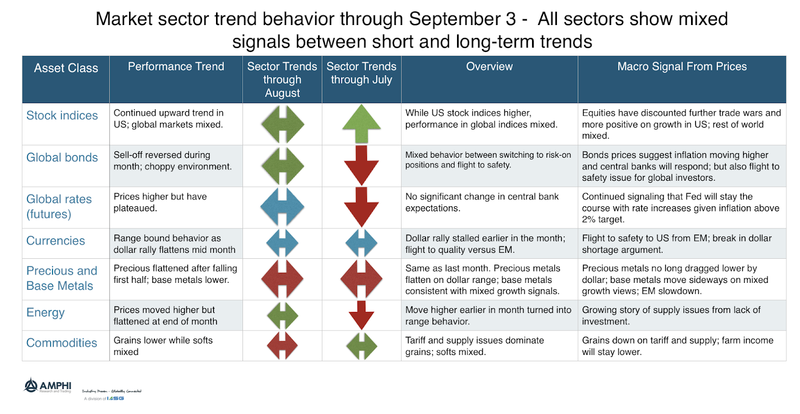 Using a combination of short, intermediate, and long-term trends across the major markets within a sector, we make judgments on potential trend behavior for the coming month. 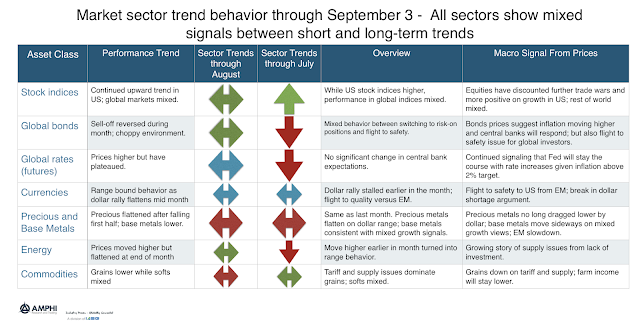 Our signals are surprisingly mixed as we move into the post-Labor Day period. While there are some upward and downward biased sectors, all seem more range bound with no consistency between short and longer-term trends. This was after a good trading month in August. US equity markets continue to move higher although global markets are not showing the same pattern. Bonds are mixed given the risk-on environment and the demand for safety on an international level. Rates are consistent with steady central bank policies. Currencies reflect the risk in EM, but the dollar rally seems to have lost the momentum seen earlier in the summer. Precious metals markets have continued to negatively correlate with dollar movements while base metal price directions are mixed on global growth prospects. Energy prices have not exceeded highs from earlier in the summer and commodities have been more sensitive to tariff talks. Markets may be subject to break-outs this month, but current price action does not point in any strong direction. Call it the pain of international diversification for 2018. With a significant divergence between US and international equities, the cost with holding DM and EM stocks has been significant. The differential between EM and US growth indices is over 25%. August just added to this different with fears of sudden stops in risky EM countries. Turkey and Argentina have both showed that credit flows can change quickly in a sensitive macro environment. 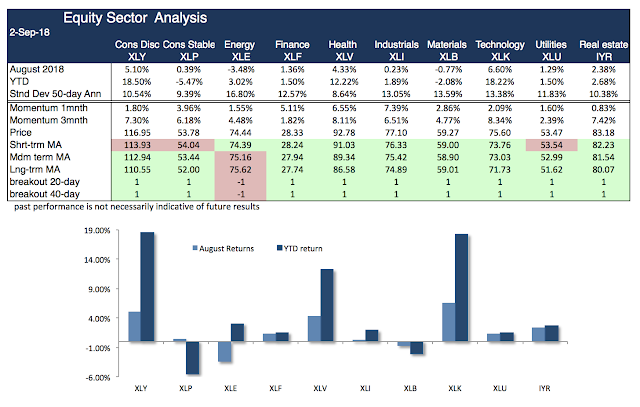 The sector analysis shows continued strength in technology, health and consumer discretionary sectors. The health and technology gains are theme-rated while consumer discretionary pinpoints the strong economic growth of 2018. All sectors point to further gains except for the energy sector. Sovereign country ETFs show the global fears gripping equity investors. 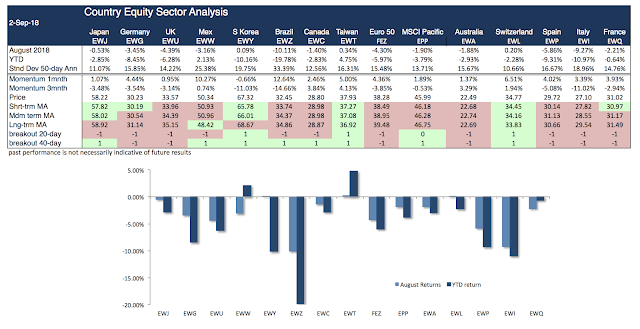 Weaker macro environments saw continued sell-off in August. Investors are taking a closer look at leverage and underlying economic structures in EM markets. Bond market performance was generally consistent with a strong risk-on investment environment for 2018, but Treasuries gained in August based on global flight to quality. International and EM bonds showed continued weakness based on the strong dollar. Trend and breakout analysis suggests a long focus on US style ETF's and continued avoidance of DM and EM equity investments. Sector bets focus on economic growth and technology. Avoid risky sovereigns and accept that while bonds may do better on flight to quality, they will reflect the strong risk-on US environment.